Trust, this hard to grasp quality, so vital for inner harmony and for helping society function positively, has now assumed a crucial role in the international political landscape and in the media that reports about it. In 2017 Reuters Institute did summaries of the ‘trust in media’ issue for Germany and for the three countries (among others) where the Guardian has editorial operations reaching out to about 140 million unique browsers a month around the globe. In Germany about half of the Germans trust most news most of the time and it is widely felt to be free of political and commercial influence. In the UK there has been a significant fall in those who agree that the news can be trusted (from 50% to 43% in the past 12 months) with under 35s particularly distrustful. Within the US, following the election of Trump, the publicly voiced worry about the spread of fake news online has increased the value of professional journalism, exhibit A notwithstanding. Perhaps as a consequence, trust in recognised news sources increased to 38%. For Australia, the level of general trust in news media has remained relatively stable at 42%. Interestingly, over half (56%) of Australian respondents try to avoid the news either sometimes, often or occasionally. Women avoid news more often than men! I love the point about half the respondents in Australia dodging the news, particularly the women. After all who wants to live on a diet of bad and sad? Certainly not Australia it seems! True to stereotype the Germans seem to think that their media is in the main quite honest and straightforward and they trust it to a far larger extent than the Brits, particularly the young Brits, who have grown increasingly cynical about what they read. With the internet at their fingertips, young Brits seem to want to go find their own news, even if biased and reinforcing their own likes and dislikes. What with Brexit battling for sway over people’s emotions and a Government that seems so out of sync with the young, the Brits seem to have lost some faith and trust in the traditional media. 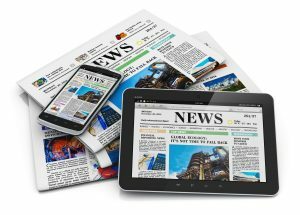 Not surprisingly in this age of distrust, The Media Insight Project in a recent study uncovered that the main factor in determining a reader’s trust appears to be who shared it, not the news organization that published it. So trust from the reader is heavily dependent on who the news ‘ambassadors’ are. Trust and the lack of it keeps grabbing the headlines but the one general maxim about it that remains constant seems to be: it takes years to build trust and only seconds to destroy it! If you have an interest in the ways trust can be measured and built you might want to look into our International Team Trust Indicator product, perhaps our friends in the media could do the same.